The maybe-sometimes-complete or not-so-complete saga of the Flores-Chavoya family a.k.a. Life with Jacob the Great, Lilly the Princess, Aaron the Magnificent & Spike the Protector. I can't believe that 5 years have already gone by. I can't even remember how life was before we had the most beautiful girl in the world in our life! You bring us so much joy! We love you so much! I am so proud to be your mom, you are super smart, witty & wonderfully funny! I can't wait to spend many, many more years with you!!! 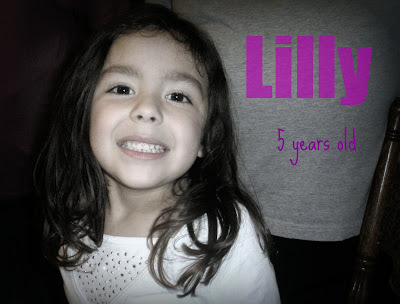 Lilly had the BEST 5Th Birthday that she could possibly have had! She was surrounded by so many people that truly, truly LOVE her! 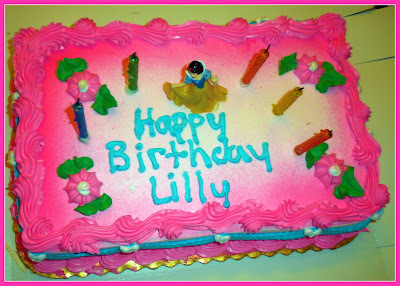 Happy Birthday Princess Lilly, we love you!! to destruction of the lemmings. Yes, earthlings, Im an NDE. God bless your indelible souls. This blog is about me and my little family. Some things are important, some not so important. Most of it is thoughts going through my head that need to get out and for some reason my 5 year old doesn't understand. I am a stay at home mom to three beautifully fun children Jacob 13 yrs, Lilly 5 yrs & Aaron 3 yrs. I am also wife to my wonderfully handsome and strong hubby Deputy G.Flores.